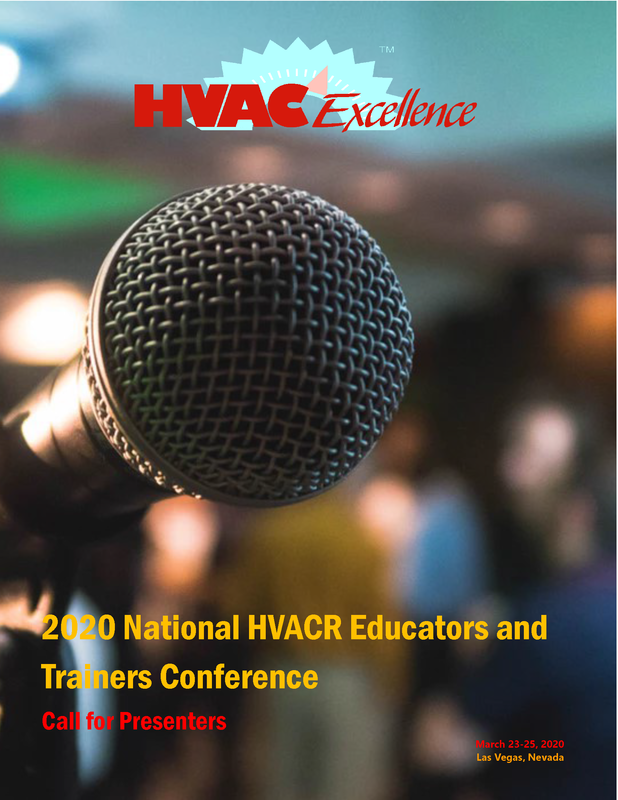 You are invited to join us March 23-25, 2020 at the South Point Hotel in Las Vegas, Nevada for the National HVACR Educators and Trainers Conference. Does it feel like technological advances in the HVACR industry are being made faster than ever? The reason for this feeling is simple. They are! This alarmingly rapid rate of change requires us, as educators, to change as well. We must constantly re-evaluate what and how we teach to ensure that the training we offer remains aligned with what the industry requires from successful field technicians. One very real challenge facing the industry is that HVACR instructors must now teach technologies that they themselves never encountered when they were in the field. Equally important, HVACR instructors need to adapt to the learning styles of generation Z to successfully recruit and train them. Standing still today is not an option! To assist HVACR educators and trainers in meeting the challenges associated with incorporating emerging technologies and teaching techniques in their classrooms, while assisting them gain confidence teaching the basics, HVAC Excellence hosts the National HVACR Educators and Trainers Conference. While the conference is called the National HVACR Educators and Trainers Conference, it is open to anyone in the industry interested in hearing directly from industry leading manufacturers and subject matter experts, about the latest in HVACR technologies. To make networking easy, three plated lunches and three continental breakfasts are included. This conference offers lecture and hands on sessions specifically designed for HVACR instructors by HVACR professionals, to meet the continually changing needs of the HVACR industry. The conference allows attendees to meet directly with manufacturers, publishers, associations, and other organizations that provide; equipment, trainers, refrigerants, tools, test instruments, supplies, curriculum, assessment, and other HVACR resources during the exposition. Passing a standardized teacher certification exam is a basic requirement for employment as a teacher in most states. Similarly, states and schools needed a standardized measurement of a job applicant’s knowledge and readiness to be an HVACR instructor, regardless of institution, or location. HVAC Excellence Educator Credentialing exams are a series of written exams that identify if an instructor possesses mastery of specific fundamental content areas they will be teaching. The core exam, covers teaching and technical education methodologies. These exams are administered free of charge to attendees, to help them see where professional development may be needed, and become more effective instructors.